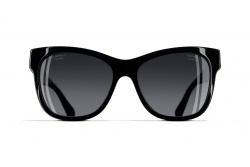 CHANEL counts on a great range of polarized sunglasses. Care and comfort are combined having as a result a unique sunglass. 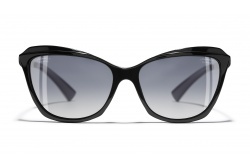 CHANEL counts on a wide range of sunglasses models that include different characteristics. All of them are made with first quality materials. This fact does not only help to create a resistant and comfortable sunglass but also a sunglass that protects our eyes. The polarized treatment consists of a vertical filter whose main objective is to block the horizontal sunlight. This kind of sunlight is the one that reflects on the sea surface, on the snow or the pavement. Besides, this treatment prevents from blinding and strengthen the colors and the contrast. There are different models and shapes with this treatment inside the new CHANEL collections. Next, we will show you all the available models.